If You’re Feeling Sinister is one of the best expressions of the vacuity of the post-political late 1990s, after the so-called “end of history”. In the UK, the rising “third way” new labour politicians like Tony Blair (and the Democratic Leadership Council new democrat Bill Clinton in the United States) concealed a rightward shift behind benign-sounding “triangulation”-type rhetoric. Rather than a pendulum swinging back leftward after the brutal Carter-Thatcher-Reagan-Major era, there was an impotent shrug of “there is no alternative” (TINA) and a continuation of the swing rightward. So somebody like the girl in the album’s austere cover photo, with a copy of Kafka‘s The Trial conspicuously visible in the background, is left isolated and powerless, in contemplation. The sort of education and erudition implied by the book in the background of the album cover was no substitute for the lack of political power of the album’s core “college rock” audiences (the would-be new “new left” of the day). 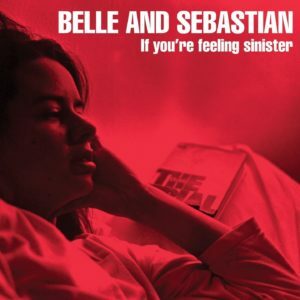 This feeling is captured well by Belle and Sebastian’s light, melodic, and sometimes whimsical chamber pop music. Stuart Murdoch sings with sensitivity but above all a wispy, unobtrusive breathiness. The music relies on a tension between the upbeat, nearly campy melodies and the literate, melancholic lyricism. This music is the soundtrack to the strongest revolution possible without getting out of bed. Mostly the album uses folky acoustic instrumentation layered and elaborated upon with studio overdubs and subtle echo that draws from modern pop. That is to say from The Velvet Underground (in the vein of “Sunday Morning,” etc. ), to British folk-rock of the 1970s to jangle pop of the 1980s and on to shoegaze rock of the 1990s all contribute influence. (Alt/grunge rock and britpop of the early-to-mid 90s is conspicuously absent). It all contributes to a kind of soft yet connected sonic fabric buoyed by odd drum figures, solitary horn accompaniment, unexpected electric bass lines, and celeste-like keyboards. It all seems fit together. The little subtle touches of eccentric instrumentation — never overused — each cycle through to diversify the proceedings, as if any instrument is capable of filling any role. Some of the songs are simply lovely and pretty, like the piano ballad “Fox in the Snow” (a re-write of “We Rule the School”). The lonely tranquility and search for escape through fey artistic pursuit recalls Denton Welch‘s unfinished autobiographical novel A Voice Through a Cloud. Just like that book, there is quality of observing surrounding life, as if through a telescope. “Stars of Track and Field” evidences a deadpan sarcasm — worthy of a Naked Gun film — that surfaces repeatedly throughout the rest of the album. The sarcasms allows the angst underlying the songs to come through in a passive-aggressive way. “Get Me Away From Here I’m Dying” is probably the centerpiece of the album. The subtle appeal to rescue from unseen outside forces, the casual and polite cynicism, the somewhat smug obscurantism, the passive-aggressive hesitation to make offense: these are all the tools in the kit of “outsider” hipsters of the era. These are much the same techniques found in other indie “twee” pop like Neutral Milk Hotel‘s cult favorite In the Aeroplane Over the Sea from a few years later. And yet, Belle and Sebastian do something subtly different from Neutral Milk Hotel. “Get Me Away From Here I’m Dying” has the lines, “Nobody writes them like they used to / so it may as well be me.” This may be music that self-consciously (and even melodramatically) emphasizes its distance from the “real world” by building up its own private one, but at the same time it underscores doing something, however inchoate, apart from (and often against) those other worlds. So, rather than just being song about a “Romantic tragic hero, narcissistically focused on his own suffering and despair, elevating them to a source of pleasure,” these are songs that establish a larger context of political paralysis and meager responses. There is an emphasis on retaining sensitivity (the lyric: “I always cry at endings”), but also an emphasis on combining that with persistent awareness and action. Available avenues for action were limited at the time, and so naturally this music looks back to the past a bit, and appears quite tentative. While combining reverent/irreverent mash-ups of ironic camp and cutting insights is kind of an old tactic (at the time, most popularly employed by Beck), Belle and Sebastian’s use of the technique was so light as to almost pass by unnoticed. The cynicism almost gets the best of the band sometimes, with their tendency to play “the jaded, hysterical sniveller” holding them back rather than moving them forward as intended — this is evident by the way later work like The Life Pursuit is able to be more decisive and less self-pitying. This all boils down to the band firmly encouraging and arousing a constituency (audience) to recognize its peculiar strengths, but beyond that taking only the smallest of steps here towards deploying those strengths as a political force. The smallness of the steps is measured against what seemed possible. If You’re Feeling Sinister is an album full of good intentions. It even manages to win over some listeners not usually into this sort of thing. Well, this one is quite a trip. 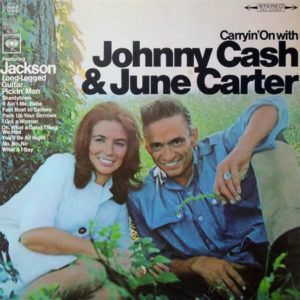 It’s a nice set of generally upbeat songs from the duo of Johnny Cash and June Carter, who would get married the following year. In spite of a few songs that don’t quite work (like the Ray Charles songs and the dumb “Shantytown”), this manages to be more than the sum of its parts. Rather than going for the kind of substance of Cash’s concept albums this is just a bunch of random, fun music. It maintains a great energy throughout, and there is some fine guitar and piano playing to boot. This is the kind of album that plays well in mixed company. [Note: “It Ain’t Me, Babe” seems to be a duplicate of what was on Cash’s Orange Blossom Special]. These are re-recordings of his classic hits — Cash had pulled a similar stunt with I Walk the Line when he went to Columbia. Avoid this in favor of the original recordings. 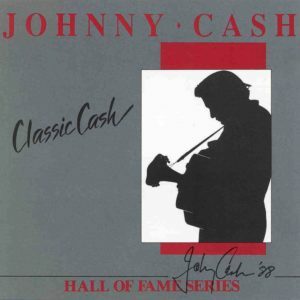 I will say this was the album that turned me on to Johnny Cash for the first time. In retrospect, how that happened, I have no idea. The songs are still great; maybe nothing can genuinely tarnish them. This takes a big hit simply for the album concept being misleading, even though the performances are very middling. 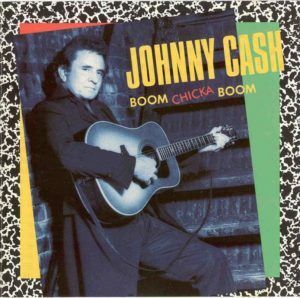 Continuing along the path of Classic Cash: Hall of Fame Series (a collection of re-recordings of old Cash favorites), Boom Chicka Boom goes back to the way Cash used to sound long ago rather than trying to update him. “Farmer’s Almanac” is derivative of his last big hit “One Piece at a Time,” though most of the rest tries to sound like Cash of the 1950s and 60s. But he’s going through the motions, and some real problems with his band become apparent. Guitarist Luther Perkins was the man responsible for Cash’s iconic boom-chicka-boom sound. But Perkins died in 1968 after being caught in a fire in his home. The thing is, no replacement featured here has any of the charisma of Perkins. In the passing years Cash often did best when Carl Perkins (no relation), Marty Stuart or session guitarists like Norman Blake were involved instead of a Luther Perkins imitator. This one isn’t terrible but it’s boring, in large part due to the various Perkins imitators on guitar. 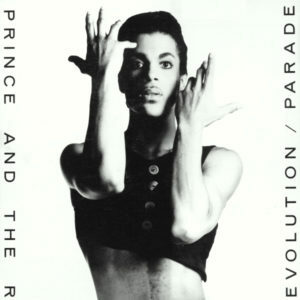 Lots of excellent commentary has already been written about Parade, the soundtrack to a second film starring Prince, Under the Cherry Moon. The film is terrible in case you are wondering. The soundtrack came along after Prince’s big breakthrough with Purple Rain. He followed that big success with the cathartic (in a self-indulgent way) neo-psychedelic meanderings of Around the World in a Day. Parade was a more concerted effort. And Prince goes big most of the time, with grandiose production concepts mixing together contributions from large sets of musicians. Yet, as my friend Patrick said, “it’s at once too much and not enough.” He piles on the production gimmicks just because he can, and well into the album those efforts hardly ever seem to come to fruition. Side one is all over the place, dragged down by the incongruous marriage of lightweight compositions and jarring recording experiments. It doesn’t offer much except for “Girls & Boys,” and the somewhat mediocre “Under the Cherry Moon.” But side two turns things around completely. There is the big hit “Kiss,” which remains one of Prince’s best. But “Kiss” is part of the great closing sequence of “Kiss” (an insanely infectious and tight dance funk jam), “Anotherloverholenyohead” (a loose yet funky workout) and “Sometimes It Snows in April” (a slow-burning epic ballad). The second side is Prince in his prime and that more than makes up for the meanderings of the first. And the great news is that Prince turned around and took all the best parts and added even more great songs and ideas for his next effort, the magnificent Sign ‘O the Times. The implicit premise of the book is really “how to get paid to write about popular music in a journalistic setting“. This is not a book that talks about how to publish a book about music (biography, academic text, etc.). It does not deal with getting a job writing the text for programs to euro-classical orchestral concerts, as just one more example. While much of the book admirably tries to offer tips on the mechanics of writing for newspapers, magazines and large web sites, readers should bear in mind the underlying assumptions of the editors who put this together. It is inevitable that all critics write from a certain cultural perspective. Readers either share (or aspire to) that cultural perspective, or they don’t. But more than that, professional critics for newspapers and magazines tend to get caught up in the economics of a popular music industry that, as a whole, makes money hyping one fad after another, covering the release of new recordings in order to generate demand for live performances. The biggest problem this cultivates in critics is a tendency to foster a kind of privileged clique of insiders who are “up to date” on the latest fads. Their writing accordingly spends as much — or more — effort developing and maintaining that sense of insider elitism as it does explaining and contextualizing the music that is ostensibly the focus of their written pieces. A few contributors here acknowledge this and describe it as reasonable and inevitable. But of course, it is neither of those things. 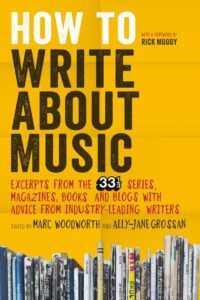 Yet writers do need to either choose the path of “professional” writing laid out in this book, or reject it, and only by overcoming the underlying assumptions and dictates of “capital”, that is, the large media businesses that pay professional music writers, can writers actively reject such dictates. Of course, some writers are just shills who will say just about anything for a sufficiently large paycheck, or too dim-witted to comprehend what is going on. But more insidious are those who simply internalize the dictates of their industry, constrained by dependence on their salary to not say anything against industry interests. That can fairly be called “drinking the Kool-Aid.” On the other hand, it is worth remembering that most critics who eschew remuneration do what they do to advocate for certain music against the commercial marketplace. Critics often want to praise was has yet to or may never garner commercial success, which doesn’t necessarily reject elitism but merely shifts focus from an economic sphere toward a cultural/symbolic sphere. So they don’t get off the hook so easily either. Another aspect of this book is its liberalism. Liberalism describes the political outlook of nearly all the contributors, and especially the editors. There is a pervasive belief that the post-WWII golden years of the working class — the time when pop/rock journalism was first created — represents the norm. Such an outlook is the embodiment of liberalism. People on both the political left and right of liberalism see the post-WWII years in the global West as a historical anomaly — but with different subjective reactions. On the Right, the post-WWII welfare state was a tragedy, and they make attempts to return to a new gilded age, or even to outright feudalism. On the Left, there is a desire to re-attempt a Paris Commune or other egalitarian utopia, which the welfare state was an attempt to stave off. While in places some contributors acknowledge that popular music criticism of the type the book emphasizes is a uniquely post-WWII creation, it definitely stops short of acknowledging any sort of coherent theory of why that is. So questions like the following are outside its scope: is popular music largely a creation of the working class and, if so, wouldn’t bourgeois capital therefore want to suppress or undermine working class aspirations in the long-run by under-funding and co-opting musical criticism? Before WWII, there was something known as the “Cultural Front” and the theories of “Cultural Hegemony” or a “Culture Industry,” or even of a “Leisure Class” that drew connections like this on the political left. On the flip side, around WWII and the dawn of the welfare state, you have people on the political right like Ayn Rand writing The Fountainhead to advocate for toppling an existing aristocracy to (de facto) install another, with a firm insistence that the reasons for doing this cannot be questioned (because “A is A” and this is “objectivism”, among other nonsense retorts), followed after the war by the open attacks of the McCarthy witchhunts that eliminated almost all viewpoints to the left of centrist liberalism. With the ascendancy of conservatism during the neoliberal “austerity” age, the working class base for music criticism has shrunk along with the sort of journalistic outlets that went along with it. In short, the economy as a whole has shifted away from the one that for a brief window of time supported a robust middle and working class base interested in “legitimate” popular music criticism (i.e., from a working/middle class perspective), and critics and readers seeking to bolster it during its decline necessarily see the conservative shift as a negative, while still retaining the elements of professional elitism that largely keeps them at a distance from the political left whose militancy once arguably brought about the conditions for it in the first place. Anyway, the contributors to How to Write About Music surely have the editor’s implicit assumptions in mind. Numerous contributors, for instance, mention writing on an amateur basis for free on a web site of your own creation. Some even go so far as to praise the “democratization” that web sites provide in that respect (other contributors are clearly threatened by it). They mention these things as they chafe against the narrowness of the questions posed to them by the editors of this book. It is to the credit of the editors that they leave these things in the book. A number of contributors here make the same joke: in order to survive as a music writer, you should have a trust fund. In other words, the means for making a living doing professional music criticism are limited at best. Give up hoping against the odds! But those jokes kind of avoid the larger implications. Mostly, this book is about the mechanics of the current music industry: how to submit a successful proposal to an editor, how to take notes for a concert review, examples of the most common formats for the most common things editors publish. And much of that discussion is pretty shallow. Most writers will intuitively understand that you can prepare to write a concert review by bringing a notepad to the concert and scrawling some notes, expanding upon them later. The more interesting of these discussions of industry mechanics describe the editorial process and the various defenses of the status quo offered by editors who retain a large degree of control in that arena. The short take home message, once summarized obliquely by David Graeber, is that you only get to do what you want (write about music!) if before and above that you are a salesperson. If you can’t “sell” (pitch) to editors effectively, you will be denied access to the largest mass-media publishing platforms. End of story. Those parts of the book resemble Chad Harbach‘s MFA Vs NYC The Two Cultures Of American Fiction, which detailed the two leading commercial hubs in the United States for fiction publishing (see also the companion e-book, Vanity Fair’s How a Book is Born: The Making of The Art of Fielding by Keith Gessen). The editorial pitch process is driven by emotional “gut” reactions, not rational decision-making, and there is absolutely nothing like a meritocracy in play. The editors of How to Write About Music do not intend to make that topic the focus of this book, and certainly never question editors who go along with that regime, but at the edges this emerges and the occasional statements along these lines provide some of the most valuable information documented here. Yet implicit in much of the book is a crude and tentative attempt to disabuse readers of the myth of a meritocracy in the world of published music writing. The writing samples, culled from books, magazines, etc. are generally underwhelming. This reviewer has been largely unimpressed with the 33 1/3 book series, which seems to range from tedious drivel to the mediocre, with a few exceptions. It is therefore unsurprising that a book by and about music writers this reviewer finds to be mostly bad or mediocre would have limited appeal. Even excerpts drawn from places beyond the 33 1/3 book series are no better, and tend to be from the likes of Alex Ross and other writers working for urban liberal publications, especially a few web sites like The Quietus (which this reviewer has largely dismissed as uninteresting liberal multiculturalist blather). So, on the one hand, readers who accept the basic premises of this book may actually find a lot they like. On the other hand, readers should very much question the basic premise of the book and what it represents.